When the G63 AMG simply isn't good enough. Mercedes-Benz' iconic G-Class, perhaps better known as the G-Wagen, is still very much alive and well. Originally launched in 1979, the G-Wagen has done everything from serving as a military vehicle, a desert and jungle explorer, a Pope mobile, as well as civilian duty. You can head over to your local Mercedes dealership right now and buy one, although it won’t come cheap. 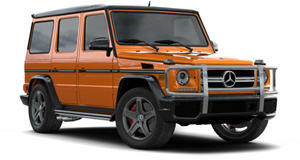 In the US, the best trim level you can get is the G63 AMG, powered by a 5.5-liter V8. For normal people, that’s way more than enough power. But not everyone is normal, after all. For them, there’s the G65 AMG. With its twin-turbo 6.0-liter V12 producing 612 horsepower, the G65 AMG is actually even more powerful than the now discontinued SLS AMG GT. 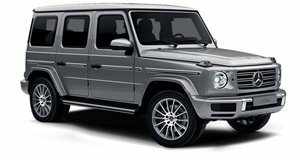 And as you can imagine, the G65 is one expensive sucker, coming in at 220,000 Euros. Fuel economy isn’t its strong suit, but that's not an issue with its elite owners. Will the G65 AMG ever come stateside? Not likely, but it’s still good to know it’s out there.